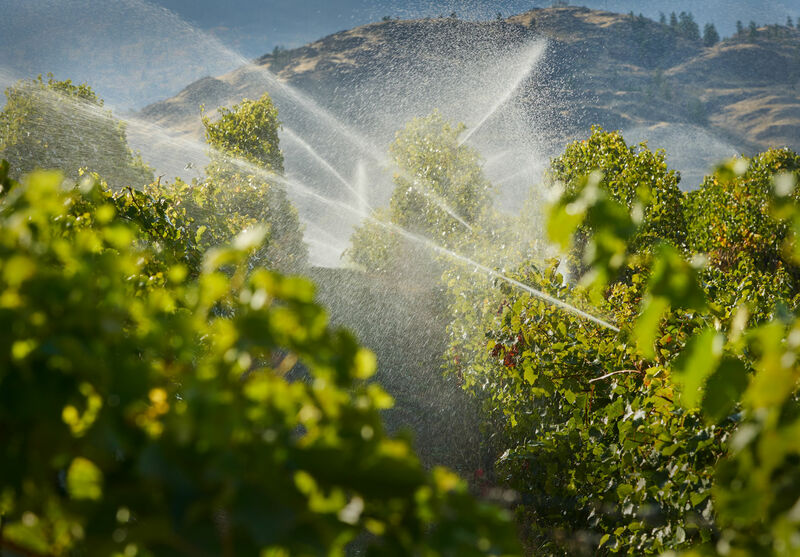 Every farmer knows how important it is to maintain optimum moisture levels in their various soils, across different textures, crops, and slopes. 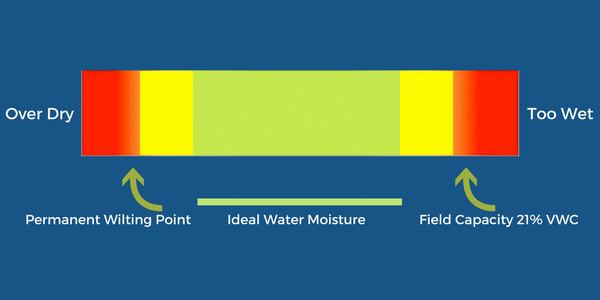 Moisture holding capacity drives many crop production factors, including nutrient availability, leaching, runoff, and maintaining a healthy soil environment. Equally important is the role of air exchange and porosity in the soil, driven by so many other factors like traffic and compaction, organic matter, and tillage systems. 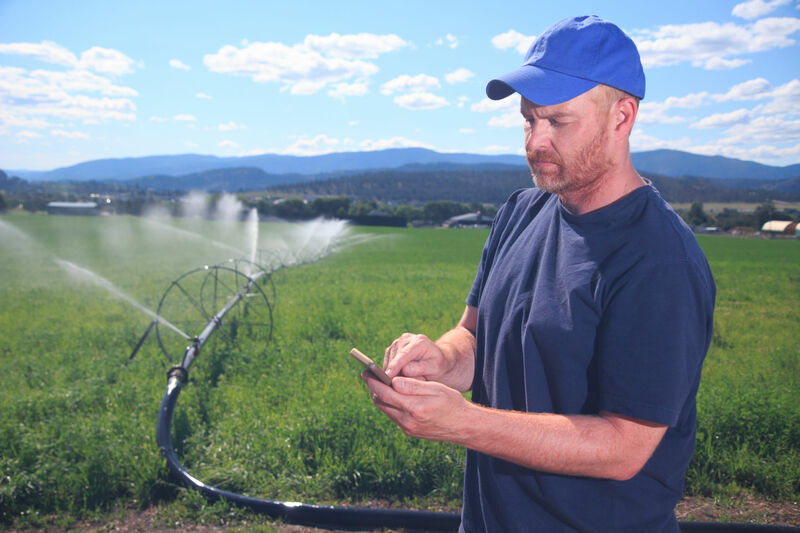 Having the ability to determine precise soil-water levels in real-time at different depths across the profile enables you to optimize the timing and rate of your irrigation schedule which has far-reaching benefits. Minimizing saturated soils removes many barriers to maximum economic yields, like denitrification and leaching of nutrients, diseases, erosion, and more…maximize yields-increase your ROI on your irrigation dollar-avert risk..all in one tool. Having the ability to receive instantaneous moisture readings well ahead of the permanent wilting point, this tool enables you to prevent yield loss and significantly increase yields. You now have the ability to precisely deliver water to the crop across many soil types and textures, at an amount and frequency matched to the individual field’s needs. 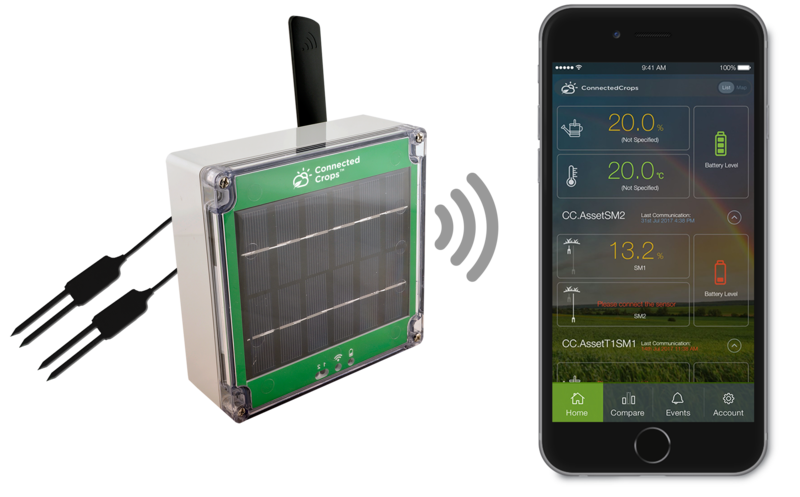 Using the ConnectedCrops solution, the field soil data is captured through the Soil-Moisture Sensor. The data is recorded, analyzed, and applied to decision-making, using the power of the ConnectedCrops Mobile App. When you consider the fact that you can have a soil moisture reading well ahead of yield loss, so as to govern and precisely deliver only the irrigation needed to maintain an optimum soil water condition, it’s easy to see how that can undoubtedly lead to increased yields and a higher quality produce in the end. This chart illustrates the categories of soil water when considered withinin Agricultural systems, and their definitions. Field Capacity: the amount of soil moisture or water content held in the soil after excess water has drained away and the rate of downward movement has decreased or ceased. It is usually measured 2-3 days after a significant wetting takes place to saturate the soil. Permanent Wilting Point: The amount of water remaining in the soil when the plant wilts in a humid atmosphere. The water remaining in the soil is held too tightly by soil particles, and plant roots cannot absorb it. Available Soil Water: The amount of water in the soil between field capacity and the permanent wilting point. Generally, overhead irrigation should start before soil reaches 50% of available soil water. Drip irrigation should start before soil reaches 80% of available soil water. The Dual Moisture Sensor Solution allows growers to measure soil moisture levels at two different depths, fully verifying the effectiveness of your irrigation schedule. 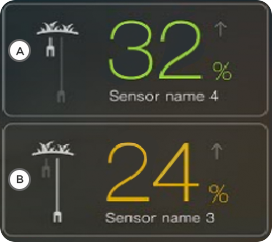 This kind of real-time data empowers you to change irrigation timing and rates according to soil texture, crop uptake, irrigation rates, and other factors. All of this data is easily managed through the ConnectedCrops Mobile App, saving you money, and maximizing crop response.